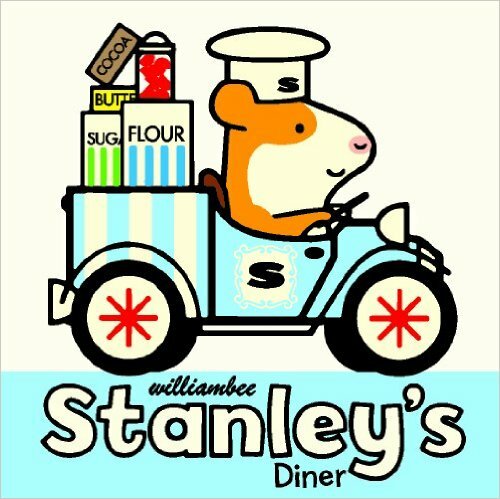 Our family just recently made an acquaintance with Stanley, who we believe to be a hamster (but can't completely confirm that), created by William Bee. 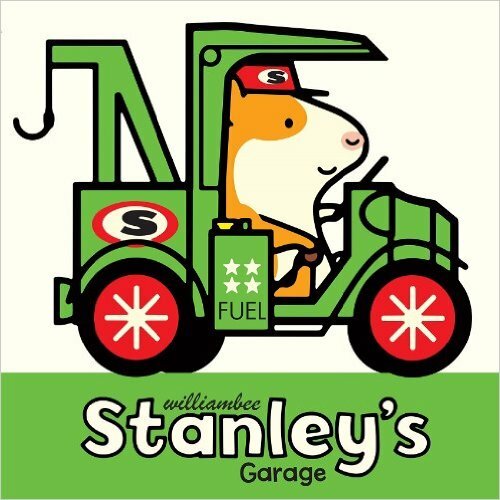 Whether Stanley is a hamster or a guinea pig makes not a lot of difference to us; he is cute and approachable no matter what. Here is an image of one of the page spread from Stanley's Garage to give you an idea of how much text is on each page spread and what the illustrations look like. As you can see, Bee makes good use of simple, bold lines. 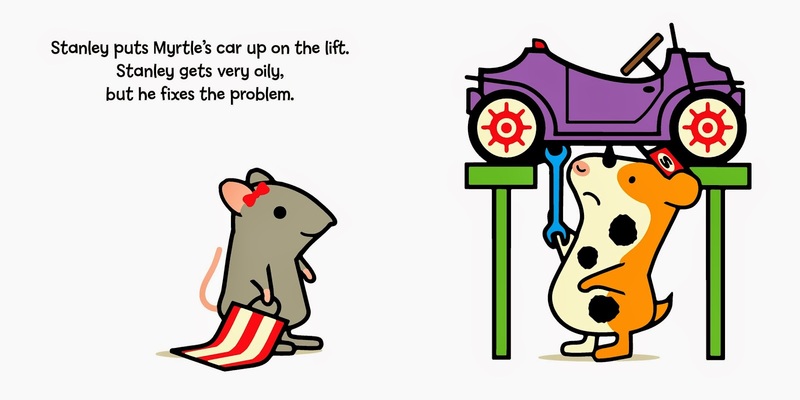 The minimal text make these books perfect for burgeoning readers and you can expect all Stanley titles to keep to this basic format. 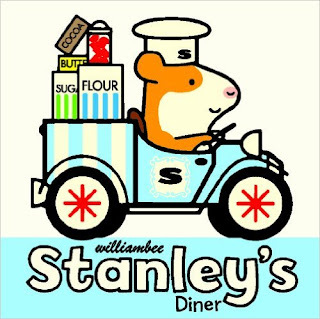 Stanley does a fine job meeting his friends' breakfast needs. He stays busy in the kitchen cooking eggs and tomatoes and mushrooms. He's in possession of a huge toaster and can serve up toast and coffee as requested. It's a busy day and at the end of it he is mighty tired. He heads up for that bath before bed and so ends another day with Stanley. Stanley the Farmer shows off yet another side of this industrious hamster. This time Stanley is up early plowing fields, planting wheat and spreading manure. His friends come and help him with some of the tasks which is a huge help during this busy, busy day! Stanley is quite pleased because his wheat field look very beautiful. He can go to bed a happy, contented hamster. Stanley the Builder should be a hit with all children who love watching big machinery. Stanley's friend Myrtle has just bought some land and has asked Stanley to help her build a new house. He bulldozes the property and then begins digging out the foundations with his yellow digger. A variety of equipment is used making it a fun (but busy!) day. Time for that bath and bed once more. Our kids are just delighted with Stanley and therefore so am I. 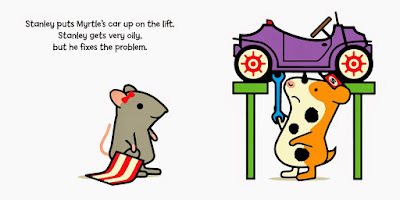 Our attraction to him probably stems from a love of Maisy Mouse and has appeal in the fact that he is a hamster. I'm particularly delighted to say that I checked in with Peachtree Publishers and they have offered to give away TWO sets of the above FOUR books to two of my readers here at Reading to Know! Would you like to be included in this drawing? Simply leave your name and a valid e-mail address in the comment section below. This contest is open to U.S. Residents only and will be open through Wednesday, November 11th. THIS CONTEST IS NOW CLOSED. THE WINNERS, as selected by random.org, ARE #s 15 (Shonya) and 3 (Jessica)! CONGRATS! Many thanks to Peachtree Publishers who sent the above titles my direction in order to facilitate this review and giveaway. I received no additional compensation and all opinions are 100% my very own. I think my nephew would love these! C would love these books! 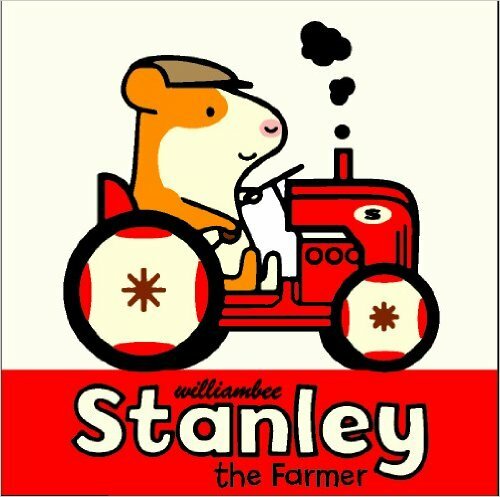 Our library has Stanley the Farmer so we'll be checking them out. These look adorable! We have a pet hamster that my boys love to watch (in his cage...because mommy is still terrified of getting bit and we have cats that would eat him if he got away). :P My Bumblebee would love these, though, so I'll have to keep them in mind for Christmas. 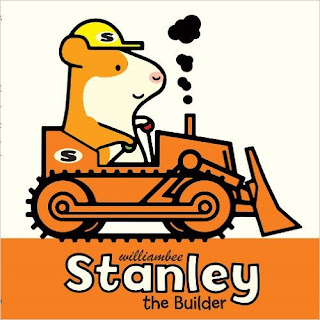 I bet my grandchildren would love the Stanley books, and I would love reading them to them! They look bright and cute! I'd love to read them to my grandson. What a treat to be able to share these with my grandson at snuggle time. Thanks for the opportunity! I have seen a few of these in our local library. My nephew would love them!